No stranger to making weirdness accessible, Lee Noble presents a new full-length album of alien loner transmissions broadcast and received just down the hill from Dodger Stadium in downtown Los Angeles, CA. The sound of sparkling lights burning out all across an isolated island on a comet hurtling through the interstellar tropics, burying the familiar tones of keyboard and plucked guitar somewhere off in the distance. 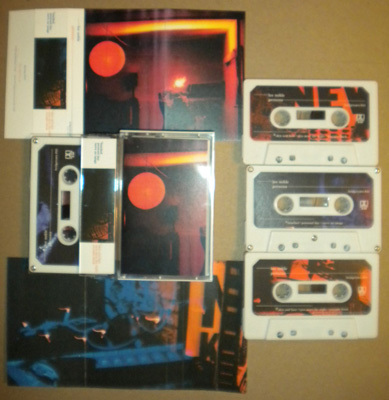 First edition of 70 chrome cassettes dubbed in real-time with full-color labels and doublesided printing on heavyweight matte stock.